Are you a bit gloomy by nature? A natural pessimist, filled with angst? Are you also fierce, strong willed and honest? 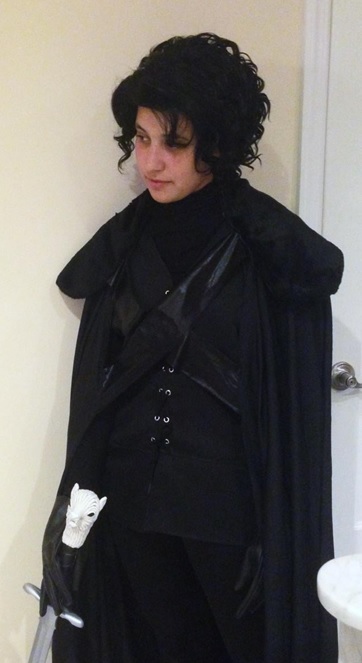 Than Jon Snow, The Game of Throne’s gallant young hero might just fit your “brooding nature” this Halloween. 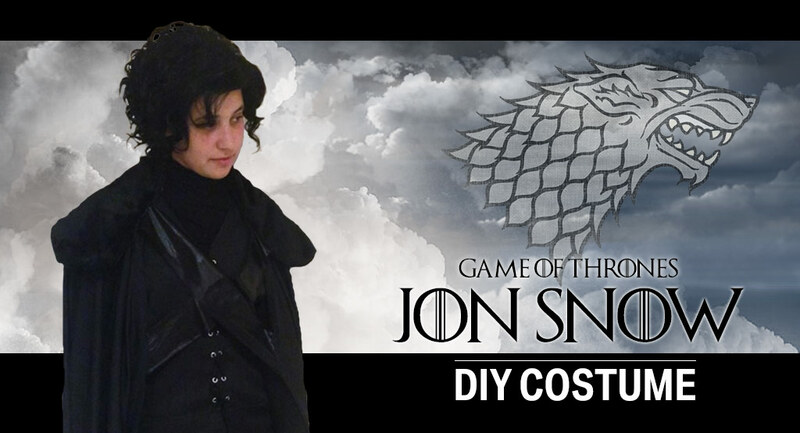 A member of the Night’s Watch, Jon has forged a path to help protect the Seven Kingdom’s from the ancient horrors of the North. So channel your dark spirit into this heroic character and put your darkest foot forward as a member of the Night’s Watch! Butter knife or small spatula (for clay). Take the fur stole and fold it in half. Measure approximately 15 inches from the rounded end and mark a line (blue) parallel to the fold. Cut parallel to the marked line an inch away from it (red). 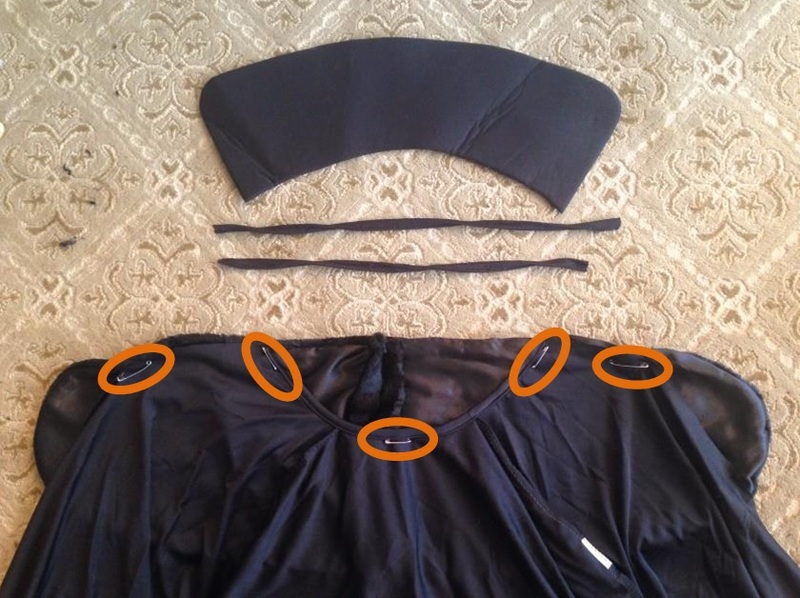 Make sure the sides of the stole with fur on them are facing each other. Sew down the line marked earlier (blue), an inch in from the cut line (red). When you lay down the stole it should be an oblong oval. 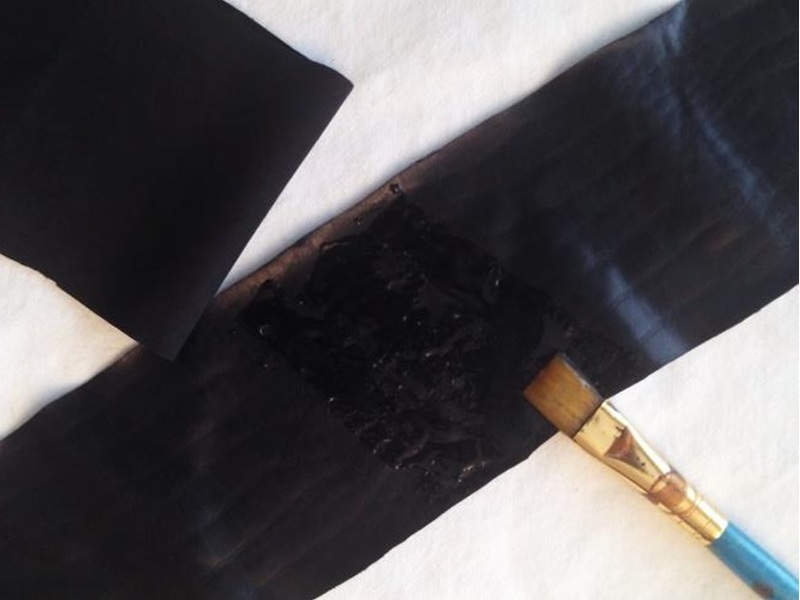 Use a black material like vinyl, string or pleather for the cape straps. Cut out two strips approximately 17 inches by 3 inches. Cross the straps in an x-shape. Apply glue at the intersection and then press the top strap to the bottom one. Leave this aside to dry. Take the cape and cut off the strings and collar. Lay the cape down so the outside of the cape is against the side of the stole without fur. Safety pin them together in the locations shown (orange). 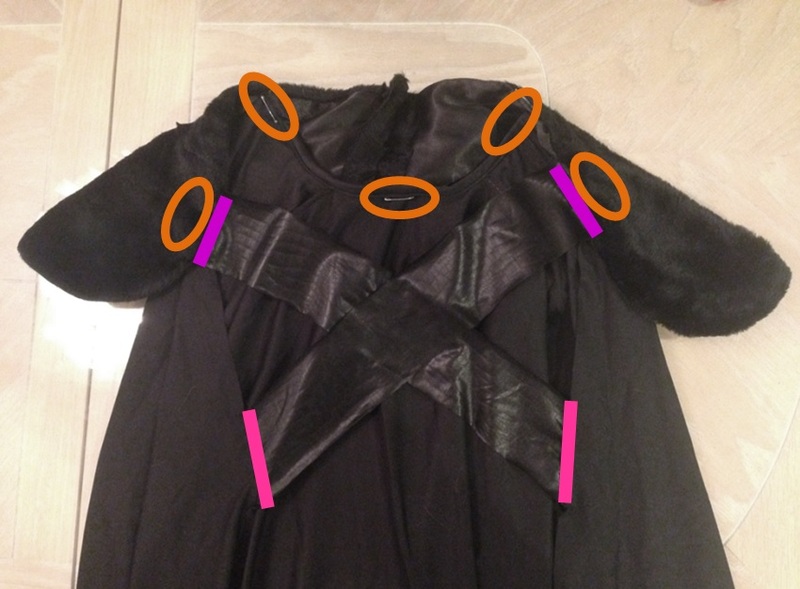 Once the straps are dry, sew the top two arms of the x-shape (purple) underneath the stole where the leftmost and rightmost pins are. If there is a shiny side and dull side to the material, make sure the shiny side would be facing outwards when worn. 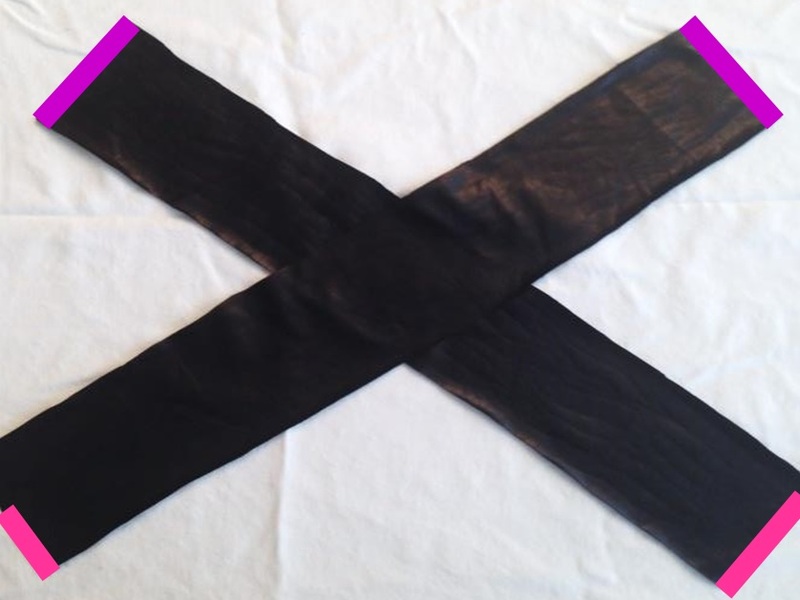 Sew the bottom two arms of the x-shape (pink) to where they fall naturally along the cape’s edge. 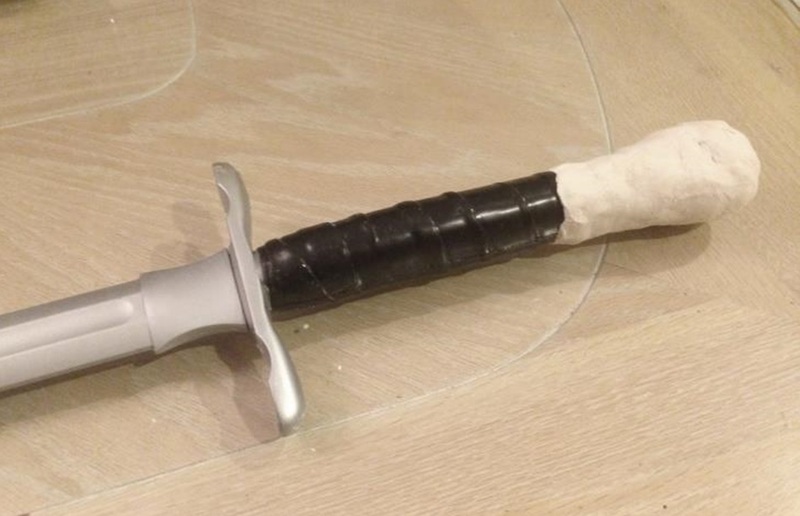 Cover the pommel of the sword and some of the hilt with air-drying clay. Roll a large number of thin cylinders of clay in different sizes. 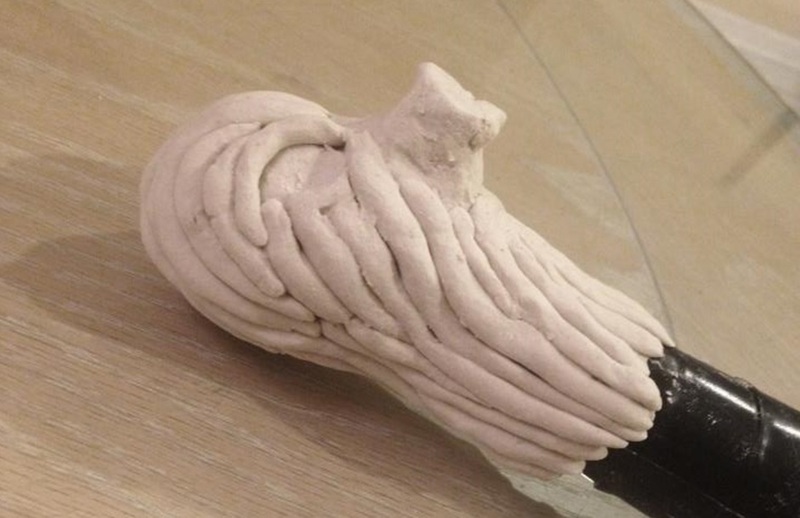 Apply them on top of the clay base in a fur pattern. 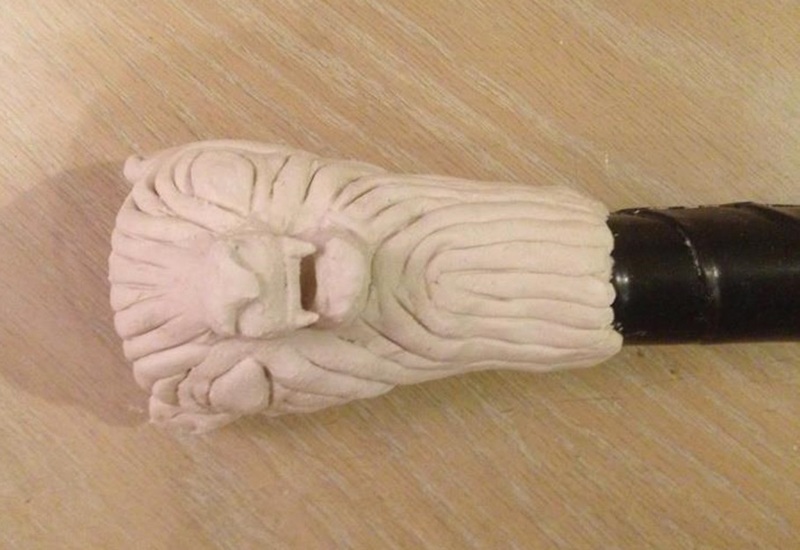 Leave space for teardrop shaped eyes and attach a short thick cylinder of clay for the snout. Use a butter knife to cut the snout into an upper and lower jaw. Add details such as the eyes, ears, nose, and teeth to the best of your ability. When dry, paint black teardrops in for the eyes. Put on a black long-sleeved turtleneck and long black pants with black boots. Put on the renaissance vest and lace it up with the ties at the bottom. Tie up your hair if necessary and then put on a black wig cap and the curly wig. You may want to tousle it a little bit to look more natural. Put on your cape and pin it in place if you want it to be more secure. Put on the gloves and grab your sword. 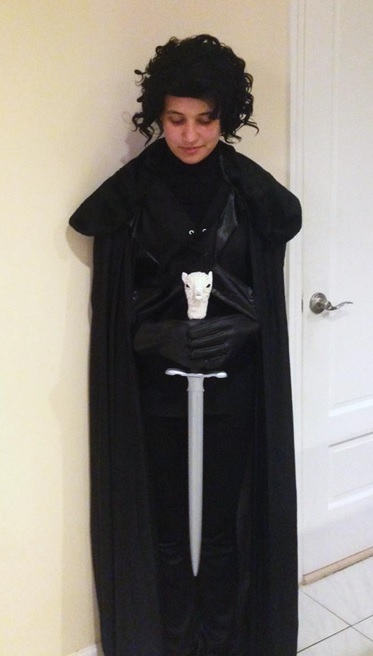 Now swear your life to the Night’s Watch!